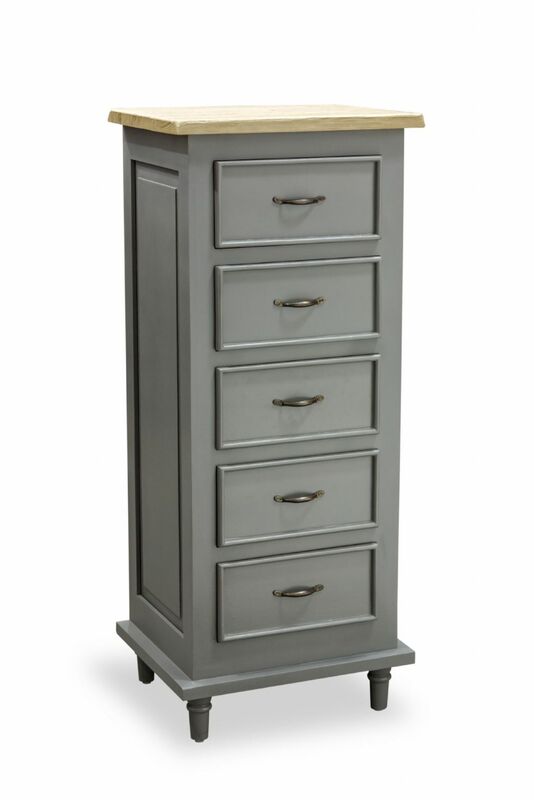 Tallboy with five drawers, with four feet to raise it off the floor. Feet need to be screwed in after delivery. It doesn't matter if you have a coastal beach house or a rural retreat, the Polruan collection is an alternative take on our ever popular Fowey Collection. Each piece is finish is a warm, dark grey with some light distressing to the main furniture paintwork. The tops are created by the wood being scrubbed and sanded back to reveal a deeper grain and then the wood is given a warm tone, matt finish.